Nothing can be kept secret from our Omniscient God. At every moment, to Him is known all that is being done in the world; both in the external as well as in the internal, spiritual world. Not one intention, not one desire, not one thought of his can man conceal from God. How can you hide from God that which you cannot hide from men; from holy men! One day, Tsar Ivan the Terrible came to church to pray to God. In the church, Blessed Basil, "the fool for Christ," stood for prayer. It is true the Tsar was in church physically, but his thoughts were on the Hill of the Sparrow, a short distance from Moscow, upon which he had begun to construct a palace. 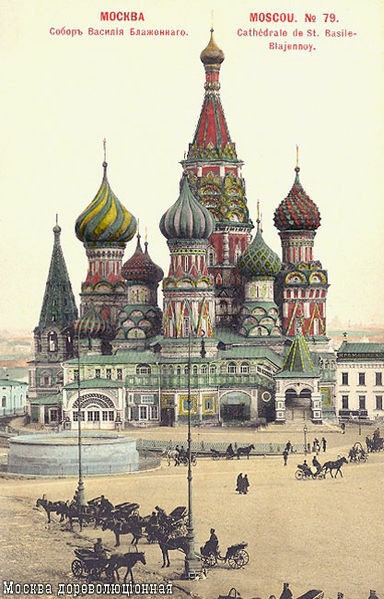 Throughout the liturgical services the Tsar thought about how he could extend and complete his palace on that hill. After the services the Tsar noticed Basil and asked him: "Where have you been?" Basil replied: "In church." Basil then immediately asked the Tsar: "O Tsar and where were you?" "I, also, was in church," answered the Tsar. To that the discerning saint replied: "You are not speaking the truth Ivanushka for I perceived how, in your thoughts, you were pacing about on the Hill of the Sparrow and building a palace."